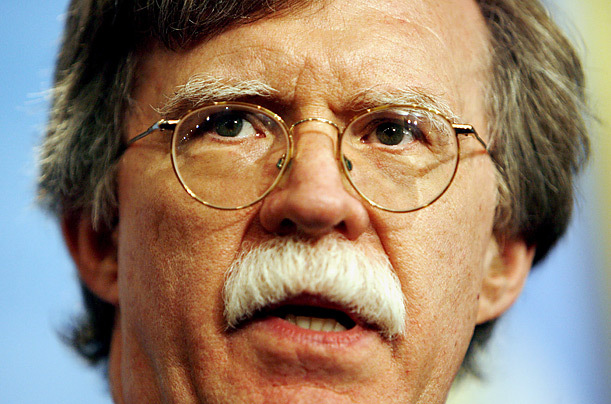 As so many of us have been dreading, PNAC’s favorite bloodthirsty child killer John Bolton has been added to the Trump administration. And as many half-jokingly predicted, Democrats seized on this opportunity to accuse Bolton of being a Kremlin agent. That’s right, John Bolton, the guy who has been trying to start a war with Russia since long before the name Vladimir Putin meant anything to the average Democrat, is being accused of colluding with Russia. Count on Democrats to oppose the most virulent neocon in Washington by accusing him of not being hawkish enough. “John Bolton once suggested Russian hack of DNC may have been a false flag operation by Obama Admin,” fretted lead Democratic Russiagater Adam Schiff, mistaking brazen partisan hackery for actual skepticism about a likely intelligence community false flag. “Bolton is *pre-indictment* for many crimes against America,” tweeted renowned professional intelligence LARPer Eric Garland. Was he referring to Bolton’s unforgivable war crimes? Of course not. “He’s owned by Russia,” Garland explained.